A Look at Jewish Messianism: A Crucified Messiah: What An Embarrassment! A few things shall be mentioned here. If you want to study these topics further, there are other articles on this website that are helpful. However, these are my starting points in talking about whether Jesus is the Jewish Messiah. 1.The New Testament documents are historically reliable evidence. 2.The historical evidence of the New Testament shows that Jesus is God incarnate. This claim to divinity was proven by a unique convergence of miracles/His speaking authority, His actions, and His resurrection. When it comes to talking to Jewish people about the possibility of Jesus being the Messiah, there is a wide range of thought. For some Jewish people a personal messiah is irrelevant. For others, it is said that in every generation there is a potential messiah or a time when there will be a Messianic Age. For the disciple of Jesus, His death is a “ransom” (Mark 10:45), “reconciliation” (Rom. 5:10; 2 Cor. 5:18–20; Col. 1:22), and “redemption” (Rom. 3:24; 8:23; Eph. 1:7, 14; Col. 1:14; Heb. 9:12–15). Jesus is also called the “Suffering Servant” (Acts 3:13; 8:32ff), and the “Lamb of God” (John 1:29, 36; Acts 8:32; 1 Peter 1:19). While the Christian community takes these truths for granted, the majority of the Jewish community asserts that Jesus’ death automatically annulled the possibility of Him being the promised Messiah of Israel. One of the Jewish expectations is that the Messiah will enable the Jewish people to dwell securely in the land of Israel (Is.11:11-12; 43:5-6; Jer.23: 5-8; Mic.5:4-6), and usher in a period of worldwide peace. Part of the Messiah’s mission is to put an end to all oppression, suffering and disease (Is.2:1-22; 25:8; 65:25; Mic.4:1-4) and create a pathway for universal worship to the God of Israel (Zeph.3:9; Zech.9:16 ;14:9). Another traditional view is that the Messiah will spread the knowledge of the God of Israel to the surrounding nations (Isa.11:9; 40:5; 52:8). The term “messiah” which means “anointed one,” is taken from the Hebrew word “masiah” which appears thirty-nine times in the Hebrew Bible. While this term was used for those who were of Davidic kings (Psalm 18:50;89:20; 132:10-17), it is also used of Cyrus in Isa. 45:1. While God promised that Israel would have an earthly king (Gen. 17: 6; 49:6; Deut.17: 14-15), he also promised King David that one of his descendants would rule on his throne forever (2 Sam.7:12-17; 1 Chr.17:7-15; Ps.89:28-37). The Messiah was called to defeat the oppressive enemies of Israel and enable the Jewish people to help “set up an earthly kingdom that will never be destroyed” (Dan. 2:44). The prophets spoke of a Davidic King who would be unlike any past Davidic king (Is. 9:6-7; 11:1-5; Jer 23:5-6; Mic. 5:2-5). Both Hosea and Ezekiel spoke of the Davidic aspect of the Messiah. While Hosea spoke of a time when the northern tribes of Israel would seek out David, Israel’s king (Hos. 3:5), Ezekiel spoke of a new David who would be a shepherd as well as a prince and a king to Israel (Ezek: 34:23-24; 37:24-25). This king’s function would help restore the Davidic dynasty after the exile. Even though divine sonship appears in the Hebrew Bible with regards to persons or people groups of people such as angels (Gen 6:2; Job 1:6; Dan 3:25), Israel (Ex. 4:22-23; Hos 11;1; Mal. 2:10), the category that has special importance to the Messiah are the kings. It is the king who has a special relationship to God and is called or elected to a specific task as well. As seen in 2 Samuel 7:12-17, the immediate prophecy is partially fulfilled in David’s son Solomon. However, the word “forever” shows there are future descendants to come. God promised David that his “seed” would establish the kingdom. The New Testament states that Jesus the Messiah, the “seed of David.” Jesus is God’s chosen vessel to restore God’s kingship over mankind (Matt. 1:1; Acts 13:23; Rom. 1:3,4; Rev. 22:16). Therefore, the fulfillment reached its completion in the Messiah, both son of David and the one greater than David ( Psalm 110:1-4). As it says in Luke 1:32-33, “He shall be great, and will be called the Son of the Most High; and the Lord God will give Him the throne of His father David; and He will reign over the house of Jacob forever; and His kingdom will have no end.” In this sense, Jesus is not simply a son of David, but instead, the Son of David. There were other figures in the Bible that were anointed such as priests and prophets. There are implicit passages in the Hebrew Bible that discuss a priestly aspect of the Messiah (Hag:1:12-14; 2:2-4; 20-23; Zech:3:6-10;4:2-5,11-14). (2) The priest was anointed in his role as a mediator between God and the Jewish people because of his ability make to make atonement (Lev.4:26;31,35;5:6,10; 14:31). However, Jesus’ role as a priest goes beyond the function of the priest in the tabernacle. Even though the high priest was consecrated, he was by no means sinless and could not offer up himself for the whole congregation. Given that Israel was called to be a kingdom of priests (Exod. 19:6), it is no surprise to see Jesus’ current messianic work is a priest-advocate (1 Jn. 2:2; Rom. 8:34). Christians hold the position that Jesus’ death put an end for further sacrifice (Heb. 7:27-28; 9:23-26). During Jesus’ earthly ministry, He displayed a priestly element in His authority to forgive sins (Mk. 2:7). The prophet was to listen to God and then speak God’s words to the people. In His role as a prophet, Jesus did not use the trademark formula, “Thus saith the Lord.” Instead, He spoke in His own authority. So in regards to Evans comment, we see in the first century that the messianic expectation was by no means monolithic.To read more about this issue, click here. Within the Gospel of John, it can be observed that there is confusion about a crucified Messiah. It says in John 12:34, “We have heard from the law that the Messiah remains forever. How can you say that the Son of Man must be lifted up?” It is evident that from this verse that Jesus’ audience thought the Messiah was not supposed to die. Jesus’ crucifixion is attested by all four Gospels. Therefore, it passes the test of multiple attestation. It is also one of the earliest proclamations in the early Messianic Movement (see Acts 2:23; 36; 4:10). It is also recorded early in Paul’s writings (1 Cor.15), and by non-Christian authors Josephus, Ant.18:64; Tacitus, Ann.15.44.3. Roman crucifixion was viewed as a punishment for those a lower status- dangerous criminals, slaves, or anyone who caused a threat to Roman order and authority. Given that Jewish nationalism was quite prevalent in the first century, the Romans also used crucifixion as a means to end the uprising of any revolts. The context of this verse is describing the public display of the corpse of an executed criminal. The New Testament writers expanded this theme to include persons who had been crucified (Acts 5:30; 13:29; Gal 3:13;1 Pet.2:24). To say that crucifixion was portrayed in a negative light within Judaism in the first century is an understatement. “Anyone hung on a tree is under God’s curse”-the very method of death brought a divine curse upon the crucified. In other words, anyone who was crucified was assumed not to be the Anointed One of God. 1. “For there is no mention of You in death; In Sheol who will give You thanks?” (Ps. 6:5). 2. “What profit is there in my blood, if I go down to the pit? Will the dust praise You? Will it declare Your faithfulness?” (Ps. 30:9). 3. “Will You perform wonders for the dead? Will the departed spirits rise and praise You? Selah. Will Your loving-kindness be declared in the grave, your faithfulness in Abaddon?” (Ps. 88:10-11). 4. “The dead do not praise the LORD, Nor do any who go down into silence” (Ps. 115:17). It can be concluded that any attempt to proclaim a dead Messiah who had been consigned to Sheol would have created a tremendous barrier for a Jewish person in Second Temple Period. Furthermore, a dead Messiah would have extinguished any hopes of the restoration of the Davidic Dynasty. The question still remains as to whether Jesus’ first followers knew He was going to die. After all, within Judaism, had there even been any belief in a suffering, or atoning Messiah? There are several texts that speak to the possibility of a suffering Messiah (Zech 13:7; Dan 9:26;Tg.Isa.53;T.Benj.3:8;4Q521frgs.9, 24;4Q285 5.4;4 Ezra 7:29-30;2 Bar.30:1). As it says in Isaiah 53:10, “But the Lord was pleased to crush Him, putting Him to grief; If He would render Himself as a guilt offering, He will see His offspring, He will prolong His days, and the good pleasure of the Lord will prosper in His hand. In order for the Servant to make full expiation, he made his soul an “asham” i.e.,” a propitiatory victim for sin on which the guilt and penalty being laid, ceases to be imputed to us. ” They [namely, those sitting with Messiah] were afflicted with tzaraas- as disease whose symptoms include discolored patches on the skin (see Leviticus ch. 13). The Messiah himself is likewise afflicted, as stated in Isaiah (53:4). Indeed, it was our diseases that he bore and our pains that he endured, whereas we considered him plagued (i.e. suffering tzaraas [see 98b, note 39], smitten by God and afflicted. This verse teaches that the diseases that the people ought to have suffered because of their sins are borne instead by the Messiah [with reference to the leading Rabbinic commentaries].” (Tractate Sanhedrin, Talmud Bavli, The Shottenstein Edition (Brooklyn: Mesorah, 1995), vol 3 98a5, emphasis in original). In light of the crucifixion it is important to note that within New Testament scholarship there is what is called The Principle of Embarrassment. The Principle of Embarrassment is a test that has been put forth by John P. Meier in his A Marginal Jew: Rethinking the Historical Jesus: The Roots of the Problem and the Person, Vol. 1. This criteria seeks out material in the Gospels that would have been would create awkwardness or difficulty for the early church. This type of material would most likely have not been created by the early church because it would have been provided material useful for the early church’s opponents. But let me go ahead and give an example: All four Gospels attest to Jesus’ baptism by John at the very beginning of his ministry. Would the Gospel authors make up such a tradition? In the Jewish culture, it was understood that the one who was being baptized was spiritually inferior to the baptizer himself. Despite the fact the messianic expectation was quite diverse in the first century, it still seems the dominant messianic expectation was the Davidic Messiah view (see Acts 1:6). It can be concluded that any attempt to proclaim a dead Messiah who had been consigned to Sheol would have created a tremendous barrier for a Jewish person in Second Temple Period. Furthermore, as I just said, a dead Messiah would have extinguished any hopes of the restoration of the Davidic Dynasty. It is true that the old saying, “Jesus is just one of several messiah’s in the first century” is not only patently false but also a gross oversimplification. Just because someone leads a messianic revolt does not qualify them as “the Messiah” (notice the capital “M”). So what if Jesus was a failure? Maybe there was another Messiah who would come that would restore the Jewish people to self- rule. Out of the all the messianic movements within Judaism, I will mention some that I believe are rather significant. Another messianic figure was Sabbatai Sevi. Sevi was a seventeenth-century Jewish teacher who claimed to be the Messiah and was heralded by a contemporary named Nathan. It is said after Sevi’s death in 1676 that his brother found his tomb empty but full of light. If anything, the Sevi story sounds like it was borrowed from the resurrection story about Jesus.The Sevi story has little historical backing. In contrast to the resurrection claim of Sevi, in the case of Jesus, there are multiple eyewitness appearances after his resurrection (see 1 Cor. 15). What is more ironic is that Sevi later left the Jewish faith for Islam. Such an example of a present day tzaddik was seen in Rabbi Menachem Mendel Schneerson (1951-1994), the leader of the Chabad Lubavitch Hasidim. Some of the followers of Rabbi Menachem Mendel Schneerson think He is the Messiah and that He will come back from the dead (Schneerson died in 1994). Some in the Lubavitcher movement have even asserted that Isaiah 53 can be used as a proof text that the Messiah will rise from the dead. Of course, this has led to great controversy. Some in the Orthodox community have complained that the attempt to portray Schneerson as one who will rise from the dead and return a second time has too much in common with the Christian claim about Jesus. 1. Would there be a Christianity today apart from the resurrection of Jesus? Sure, just because a new religious movement grows doesn’t make a faith true. But given the negative views of crucifixion and a dying Messiah, it seems that the early Christian movement (pre-70 A.D.) should of ended very quickly. 2. What led to the a very high Christology pre-70 AD? 1. Michael F. Bird, Are You The One To Come? The Historical Jesus and the Messianic Question (Grand Rapids: Baker Academic, 2009), 35. Qumran is the site of the ruin about nine miles south of Jericho on the west side of the Dead Sea where the Dead Sea Scrolls were found in nearby caves. The Dead Sea Scrolls contains some 800 scrolls with parts or the entirety of every book of the Old Testament except Esther, discovered in the caves near Qumran. 3. Craig A. Evans, Noncanonical Writings And New Testament Interpretation. Peabody, MA: Hendrickson Publishers.1992, 239. 4. J.D. Crossan, Jesus: A Revolutionary Biography (San Francisco: HarperSanFrancisco. 1994), 45. While it is true that scholars agree that there are some interpolations in Josephus, it should be noted that while the manuscript tradition of Testimonium of Josephus has the interpolations, a solid case can be made that the original passage is accurate- especially the part about Jesus being crucified under Pilate. Cornelius Tacitus was a senator and a historian of the Roman Empire. Tacitus confirmed Jesus died by crucifixion during the reign of Tiberius (14-37 CE), under Pilate’s governship (26-36 CE). 5. See Martin Hengel: Crucifixion (Philadelphia: Fortress, 1977). 6. Roy A. Harrisville, Fracture: The Cross as Irreconcilable in the Language and Thought of the Biblical Writers (Grand Rapids: Eerdmans. 2006), 17-18. 7. Bird, Are You The One To Come? The Historical Jesus and the Messianic Question, 148-160. 8. David Berger, The Rebbe, The Messiah And The Scandal Of Orthodox Difference, (Portland: The Littman Library of Jewish Civilization. 2001), 21. 9. Evans, Noncanonical Writings And The New Testament Interpretation. Peabody Massachusetts. 1992, 244-245. 11. C.F.D. Moule, The Phenomena of the New Testament (London: SCM, 1967, 3, 17) ; cited in Paul W. Barnett. Jesus and the Logic of History (Downers Grove, IL: Intervarsity Press. 1997), 18-19. 12. 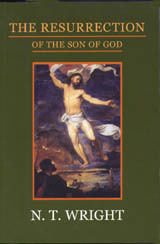 John Dominic Crossan and N.T Wright, The Resurrection of Jesus (Minneapolis: Fortress Press. 2006), 71. In this article Jesus didn’t properly match what the prophecies indicated, so it is proof that the account of Him is accurate “The Principle of Embarrassment”. Jesus does properly match what that prophecy indicated, so it is proof of God’s hand. Add to that the way prophecies are vague and open to interpretation, and it is easy to prove what you want – that Jesus is the true Messiah. For example, take the passage used in the link, Is 49:1-7, the reader cannot know where the nation of Israel is being discussed and where one individual is being discussed. Finally there is an element of self-fulfilling prophecy. We discussed in another post how the account in the gospels appears to be guided by known prophecy. In addition, the Christians did things because of prophecy: the preaching to the Gentiles happened because passages such as Is49:6 predicted it. Ed, my post here wasn’t really about messianic prophecy. Granted, there is prophecy about a suffering Messiah as I talk about in great detail here–https://chab123.wordpress.com/2014/01/27/a-closer-look-at-isaiah-5213-53-12-who-is-the-identity-of-the-servant/. And yes, a crucified Messiah was an embarrassment in that it was shameful. In the context of the covenant of Israel, the Near Eastern pattern was of both blessing and curse. The blessing is for those who obey the stipulations of the covenant while the curse is upon those who violate the stipulations. Deuteronomy 27:6 says “ Cursed is the man who does not uphold the words of this law by carrying them out.” We see this in the following passage: If you fully obey the Lord your God and carefully follow all the commands I give you today, the Lord your God will set you high above all the nations on earth. All these blessings will come upon you and accompany you if you obey the Lord your God” (Deut. 28:1-2). For a Jewish person to be blessed was to be in the presence of God and enjoy his presence and all the benefits that this entailed. The blessing was to experience God’s shalom in one’s life. In contrast to blessing, to be cursed was to be outside the presence of God. To be declared “unclean” or defiled meant was an offense to the Jewish people. So for Jesus to die on a crucifixion stake was not a sign of blessing from God. If anything, it was the opposite. The post was more about historical causation. As far as the Isa. 49 prophecy post, once you understand the calling of Israel and the formation of the nation itself and how their ideal representative (the Messiah), is supposed to be their head, the post is not vague at all. I laid out the criteria in great clarity. And no, that is not a self fulfilling prophecy. The info I gave their is an empirical fact. I am sorry you don’t understand it. Not much I can do about that. You’re welcome to read some of the resources from our messianic prophecy reading list. I have left that link before. I get it that my comment was not really on-topic and in your reply you tried to guide me back onto the topic. That material makes sense – thanks. If you’ll indulge me with my diversion a bit longer, can we discuss my self fulfilling prophecy point a bit more. I agree it is an empirical fact that Christianity became established among the Gentiles, with eventually Constantine “bowing down” to Christ, followed by no end of other Gentile rulers. If we are treating this as an apologetics argument, then we have to treat the evidence as historians rather than believers, and I can’t see how a historian could argue for (a) or (b). So there must be an element of self fulfilling prophesy.